All of the options in the list are family friendly, and some may be free, whilst others will come with a fee. This is somewhere we have randomly decided to go to a few times. It is a small drive for us but we enjoy it. The drive is strange and the Welsh Mountain Zoo really is up high in the mountains! 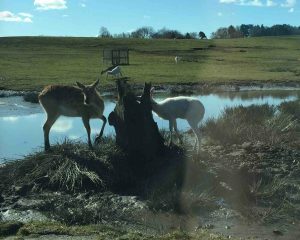 The Zoo is wonderful and has a lot to offer, there are a range of animals to go and see, there are also a few different walking paths around the ground which are nice for fresh air walks. The best part is the animal talks, the penguins walk right in front of you across the grass on the mountain side! This is super exciting, this is usually followed by the bird talk which I really enjoyed. As they are in the same location, both of these talks are followed by the seal talk and show. All of the animal talks at the Welsh Mountain Zoo are great fun, and are very entertaining and educating. Yes Chester Zoo is more expensive, but it is so much fun and the grounds are huge! You can easily spend the full day wondering around and finding things you might not have seen before. Chester Zoo has more than 21,000 animals, including bears, penguins, fish, insects, anteaters, meerkats, tigers and many many many more. There is so much to do at Chester Zoo including face painting, the bat cave, guided tours and there is a mini boat ride at the Islands of Chester Zoo. 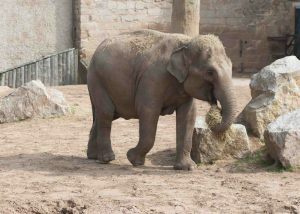 This is great fun for all the family and we have always had a great deal of fun whenever we have visited Chester Zoo. There are very often deals at the Knowsley Safari Park on entry. There is currently a £10 per person entry till March 23rd 2018. We usually go when there are deals such as £10 per car, but these aren’t very often. The Safari Park is a lot of fun, however I would be very aware of the baboons if you are gong to take your car through, it could get ruined, but you can avoid this and watch the other cars going through instead (much more fun!). Not only is there the drive through safari with all of the animals, you are given a sticker selection on the drive in of all the different animals that you will see. Each time you peel off a sticker there is a fact about that animal underneath. There is also a small section of amusement rides as well as an area for the bird talk and an area for the seal show. Knowsley Safari Park (in my opinion) offers one of the best seal show/talks around! So if you do visit then make sure not to miss this. Bowland is located in the Lancashire countryside, which makes for a perfect day out in the fresh air. It is a small family run farm where you can stroke chicks and feed the lambs as well as seeing the feeding of the meerkats and skunks. This park allows you to get up close and personal to all of their animals and offers food for you to give to them. There are a range of animals from bores, skunks, chicks, lambs, horses, pigs, ferrets, deer and more! This park is perfect for small children to get to learn about animals, however it is still a lot of fun for adults as well. There is a big children’s play area as well as tractor rides to enjoy. You are also able to camp in their new camping pods if you would like to spend a night out in the countryside. Located near Cheshire Oaks you could also nip into the shops for an outlet shopping experience. Blue Planet Aquarium is all about the fish! You can also take this opportunity to swim with sharks in a controlled environment for an extra fee. 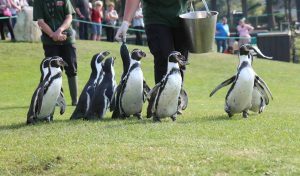 There are 14 daily shows, talks and feeds including; Starfish, rays and otters. 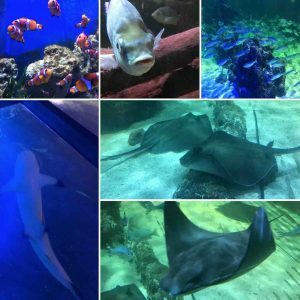 Blue Planet Aquarium has one of Europes largest collection of sharks, so it is well worth a visit, and who knows you might learn something new. There are around 50 Sea Life centres which makes it one of the biggest conservations of its kind. The Sea Life centres are very similar to Blue Planet Aquarium. They offer daily feeds, talks and shows and also offer the chance to swim with sharks. However you can go to the Sea Life centres with a Merlin Annual Pass (which is what we do often). All of them have a tunnel you can walk through where the fish swim next to you and over you. I could send hours in this tunnel just watching the fish and sharks and rays swimming by. There are interaction stations at all of the Sea Life locations and provide a lot of fun and entertainment for all of the family! You will always have a good time at the Sea Life centres. This price is for the adults tree top adventure, however GoApe also offer a junior tree top adventure, segways and zip trekking adventure. The availability of each of these different activities depends on the location that you choose to go to. 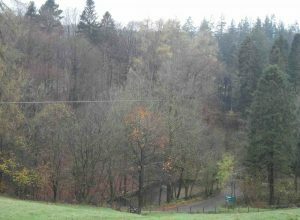 Delamere Forest offers all apart from the zip trekking, however Grizedale in Cumbria offers all of the activities. We have done the tree top adventure at both Grizedale and Delamere Forest, and also the segwaying at Delamere Forest. The GoApe tree top adventure is so much fun! There are different obstacles to go across between the trees and each section ends with a zip line down to the ground. The junior version is just on a smaller scale but is equally as fun for children. As long as you are able to climb and hook yourself between the safety lines then you are able to participate. We have been with my mother and she had a ball! The segways are just as fun and starts with a small get to know activity just so that that you get to know the segway. The journey you go on is fun and you are faced with going up and down and through rocky terrain. GoApe is something I would recommend to everyone!! It is so much fun and you should try it, even if you ave a fear of heights! Going back to our previous posts and Merlin Annual Passes, Blackpool is a great place to go! (Prices depend on where you want to go). Blackpool can offer you their Dungeons, Sea Life centre, Madame Tussauds, the Tower, Tower Circus and more in general Blackpool. Take a look through our previous posts to see what we have to say about these places, but Blackpool and Blackpool Tower is one of our absolute favourite places to go and is fantastic for entertaining everyone in the family!! Ingleton waterfalls, great fun and fantastic for photos! Or if you want a change and to have a bit for fresh air by the sea then Formby beach is a good choice. It is a dog friendly beach that also have a squirrel reserve next to it. It is a National Trust location, which means you will need to pay to park, but you can park nearby for free if you are willing to walk over. Next Next post: Alton Towers – New Wicker Man Ride.